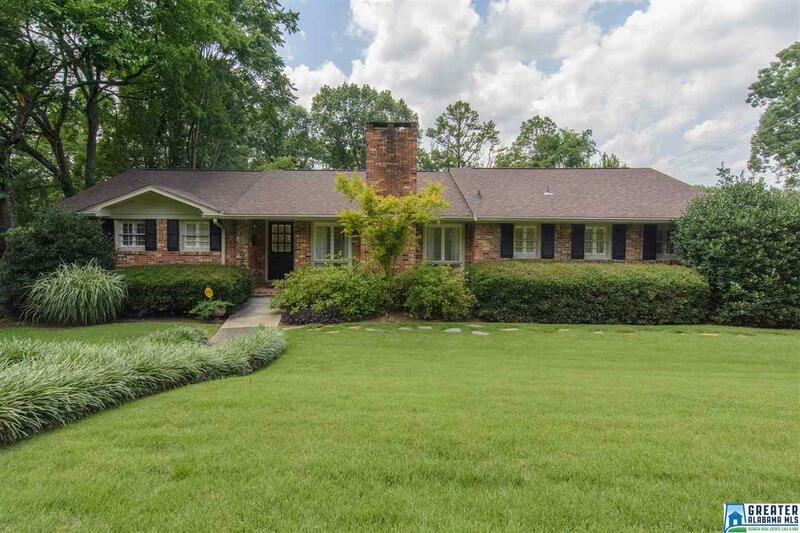 This updated brick home is the one you have been waiting for! Living room with beautiful fireplace. Huge dining room that flows onto rear deck is wonderful for entertaining or large gatherings. Updated kitchen has granite, stainless, eating area and lots of cabinets plus a large pantry. Custom plantation shutters throughout and gleaming hardwood floors. Full basement with two car garage will hold several cars if you need extra garage space. Tons of closet space on main level and plenty of storage space in the basement. Generator is approximately 1 year old and roof is about 4 years old. A/C about 8 years old. Less than 10 minutes to UAB, Downtown or the airport. 5 to 10 minutes to all the cool new restaurants and entertainment areas in Avondale, Lakeview, or Crestline. This one is move in ready!